Jordan Hankins plays in a game last year. Hankins, a sophomore, died on Monday. 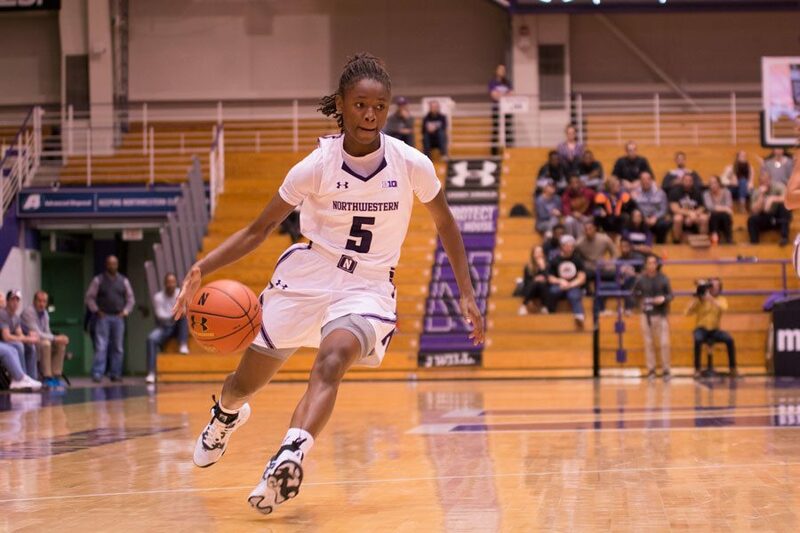 Weinberg sophomore Jordan Hankins, a guard on the women’s basketball team, died Monday afternoon, a University official said. Interim director of residential life Paul Hubinsky told Foster-Walker Complex residents in an email that there was no foul play suspected in Hankins’ death. Police were called to Plex just after 3 p.m., Evanston police Cmdr. Joseph Dugan said. Hankins was pronounced dead on the scene. The medical examiner’s office will determine the cause of death. Hankins, whose home is in Indianapolis, was on the pre-med track, according to her Facebook page. She was also a member of Alpha Kappa Alpha Sorority, Inc. The team’s game against Minnesota on Wednesday has been canceled, the program announced on its website.